There’s always a lot happening at Willie’s – daily ALL DAY specials, Wing n Beer of the Month, monthly Chef Willie Specials, all along with a full menu and games of chance. Now the newest addition Smokin’ Thursdays! 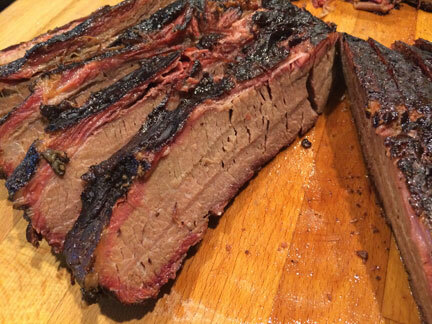 Every Thursday Chef Willie will have a different offering from the Willie Smoker. Chicken, Beef Brisket, Pork, Wings all ready for lunch at 11am and served until it’s gone. It all starts Thursday March 28th and will continue every Thursday! 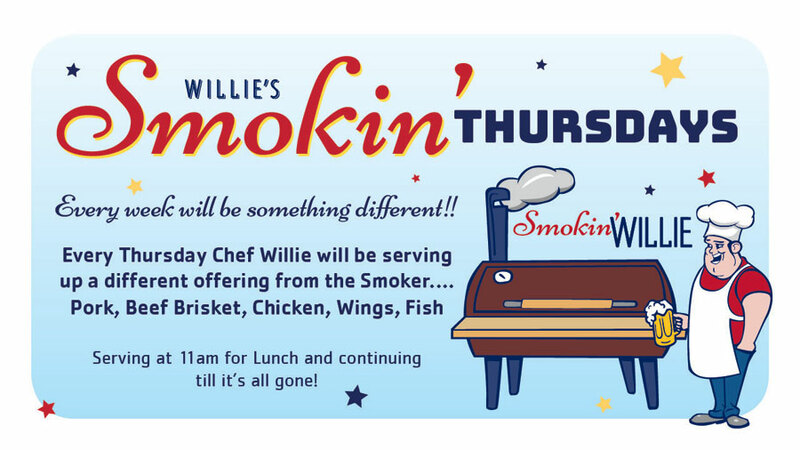 Now you don’t have to wait for summer for some real smoked mouth watering meat… just get to Willie’s on Thursday!